Beas Kund, Kullu-Manali Valley’s major attraction, is set against the backdrop of several mountain peaks such as the Shitidhar Peak, Friendship Peak, Hanuman Tibba, Ladakhi Peak, Rocky Challenger and others. Along the way to Beas Kund is the Solang Ropeway Point; a skiing spot and Bakerthach a preferred camping site. The Bhrigu lake and Beas Kund Trek in Himachal Pradesh is every adventurer’s paradise. This trek is suitable for both beginners as well as advanced-level trekkers as the slopes are moderately steep yet offer challenging trails every now and then. From Solang Nallah, the route winds through the famous Solang Valley. Solang valley is famous for its ski slopes & Para gliding. On this trek you will see amazing views of lush green meadows, glaciers and snow-capped mountain peaks. 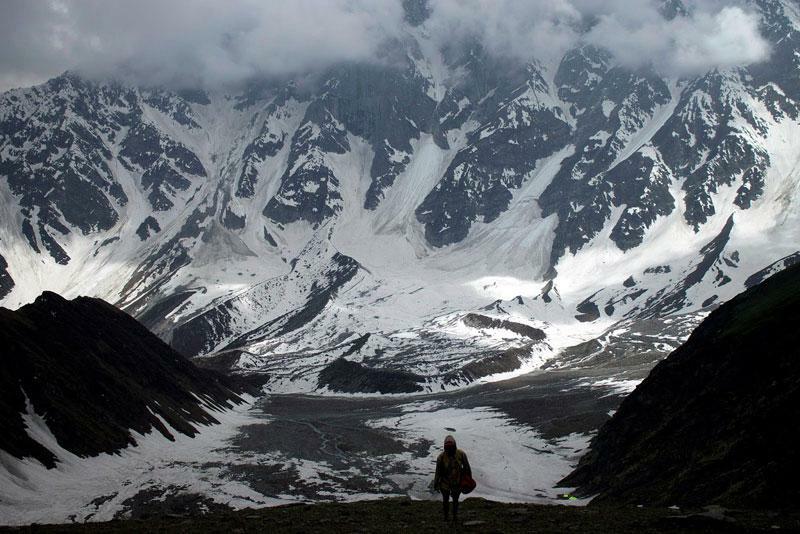 The trail goes via Dhundi and Bakarthach to enter the Beas Kund glacier, the birthplace of the River Beas. This is an enjoyable and Moderate level trek. Today we will turn back towards Dhundhi, It's an 8 kilometer easy trek and our Jeeps would be waiting for you at Dhundhi to transport you back to Manali with beautiful memories.